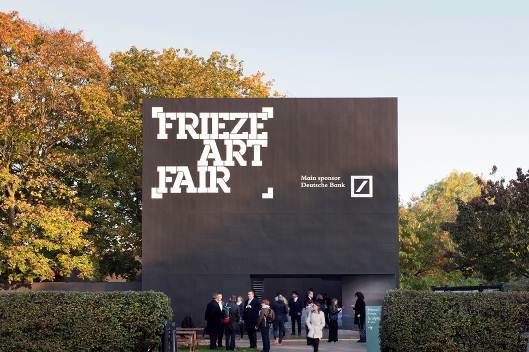 The Frieze Art Fair looks to capitalize on the 55,000 people who thronged a pavilion by Universal Design Studio (UDS) last year by commissioning another. 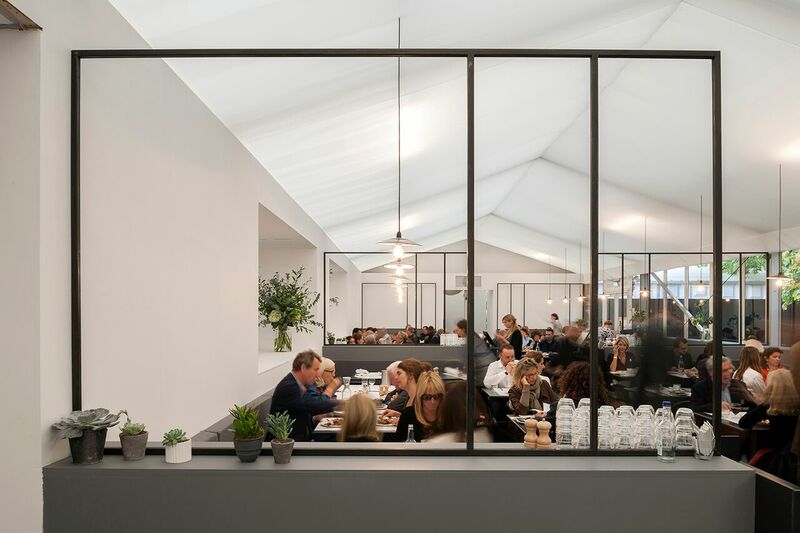 The five-day festival is held in Regent’s Park, London every October. 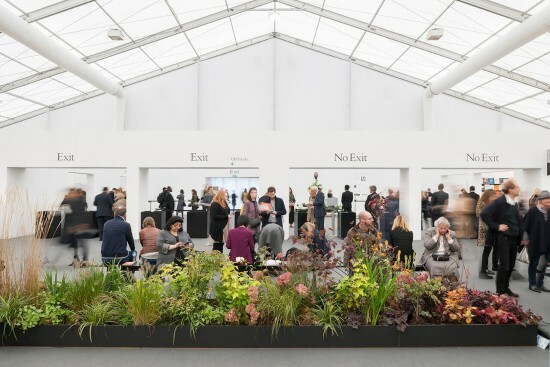 Starting in 2003, Frieze London has quickly grown to become one of the world’s foremost art fairs. A New York outpost began in 2012, held each May on Randall’s Island, Manhattan. For the 2015 pavilion, UDS has used the main construction components of Frieze—membrane, steel, board, and aluminum—to create an appropriate temporary structure. 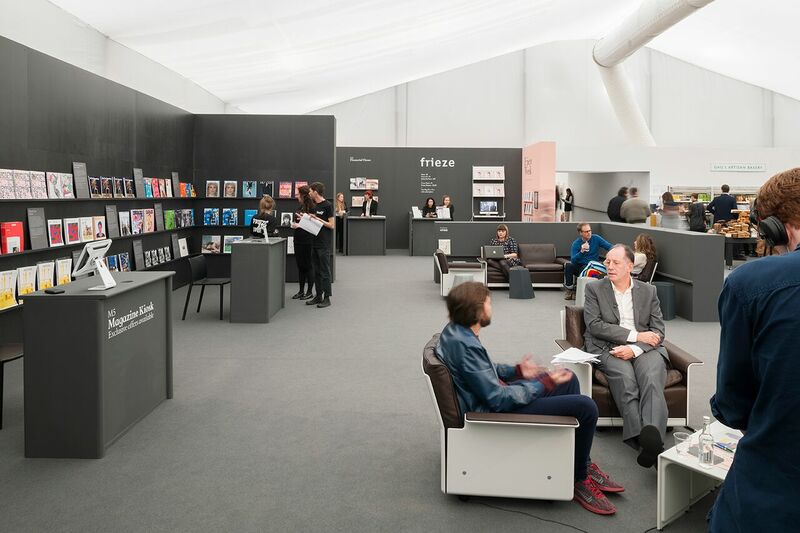 New to the fair this year is a Reading Room which offers a diverse selection of art publications and hosts live events. 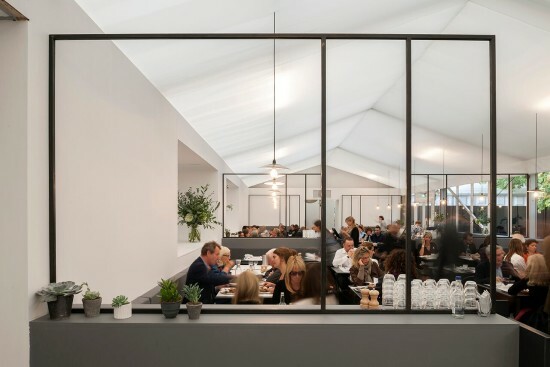 To entice people into the space, Frieze has collaborated with Petersham Nurseries Restaurant for a pop-up cafe and bar on the mezzanine level overlooking the fair. Aside from the gallery spaces, the design team has sought to give these areas purpose and identity, bringing the park into the surrounding vicinity. 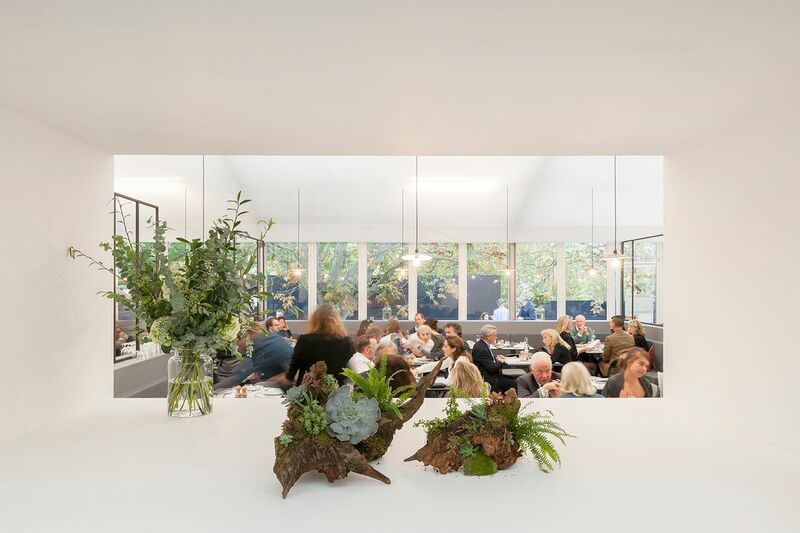 This was achieved with the help of careful planting by Hattie Fox of Shoreditch-based That Flower Shop. 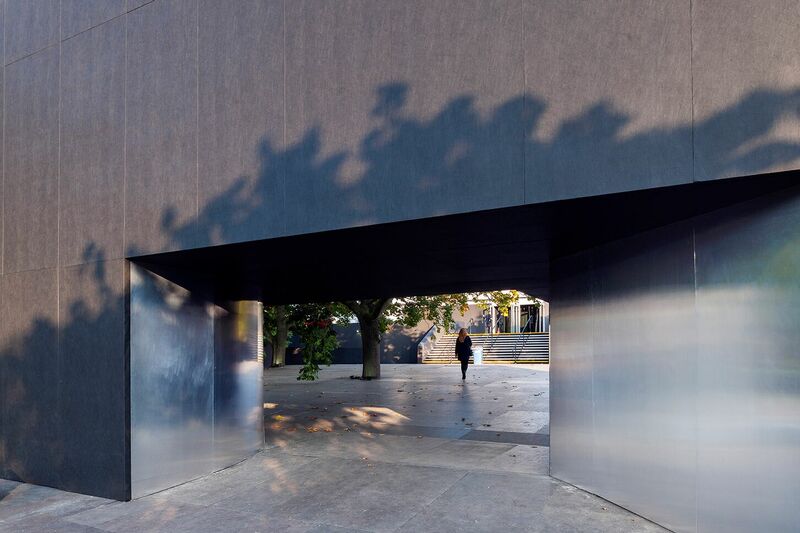 Clever uses of visual framing emphasize views and encourage people walking through the fair to enter various spaces.